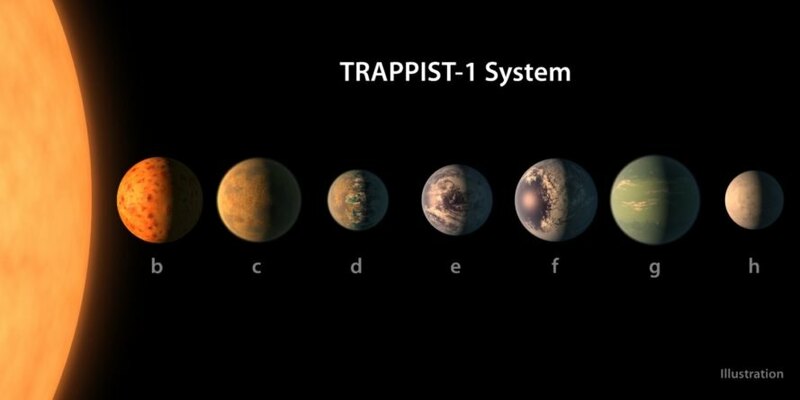 Scientists have concluded that two planets orbiting the dim dwarf star known as Trappist-1 are highly likely to be habitable by humans due to the potential presence of water and sufficient heat. 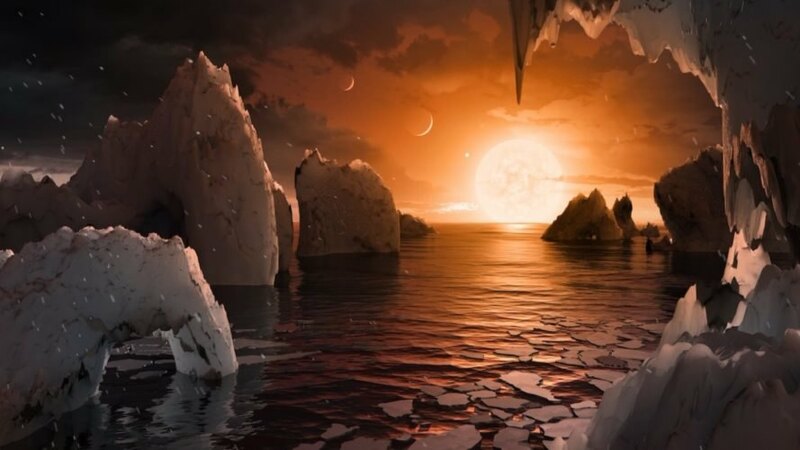 Trappist-1 and its seven orbiting planets were discovered last year, elating scientists who had never encountered a solar system with so many Earth-size planets in a habitable zone of space. This new revelation indicates there may be more Earth-like planets throughout the Milky Way galaxy than once thought. To determine the habitability of the Trappist-1 planets, Dr. Amy Barr of the Planetary Science Institute and colleagues in Hungary constructed mathematical models of each planet, including its interior. From these models, the team found that six of the seven planets are likely to have water, solid or liquid, while one may even host a global ocean. In an innovative move, the team also used models of each planet’s orbit to extrapolate their surface temperatures. “The planets are also on eccentric orbits – kind of egg-shaped – so every time the planet goes around the star it gets stretched and squeezed,” Barr told the Guardian. This effect is known as tidal heating and increases the likelihood of habitability by warming the planet and facilitating a more dynamic flow and chemistry within the planet’s mantle. In a paper to be published in the journal Astronomy & Astrophysics, the team concluded that planets d and e are the two most likely to be habitable by humans. Planet d is estimated to have an average surface temperature of 15C (59F), though it may be as low as just above the freezing point for water. In contrast, planet e is thought to have temperatures that parallel those of Antarctica. Ultimately, more research needs to be done to determine the precise conditions of these planets, including whether they are able to hold water or if they possess an atmosphere. A successful launch of NASA‘s next-generation telescope, the James Webb, will likely shed more light on these fascinating exoplanets. In the meantime, computer models offer glimpses into worlds that may harbor extraterrestrial life. A line-up of the planets of Trappist-1. An artist's depiction of the watery surface of one of Trappist-1's potentially habitable planets.